​Rihanna's Fenty Beauty products have been making a huge impact globally, as the singer recently expanded in Milan, Italy, all throughout Sephora stores in the U.S., and Harvey Nichols department stores in the UK. Following the success of the inaugural Arab Fashion Week earlier this month, Fenty will enter the Saudi Arabian markets as well, adding to her stake in the cosmetics of countries in the Middle East, such as Qatar, Bahrain and Kuwait, as reported by ​Hollywood Unlocked. "I’m so happy to announce that @FentyBeauty is coming to Saudi Arabia on April 19th!! #SephoraMiddleEast," Rihanna tweeted. Saudi Arabia recently made pop-culture headlines, as its 35-year cinema ban will come to an ​end with a showing of Marvel's latest film, Black Panther. 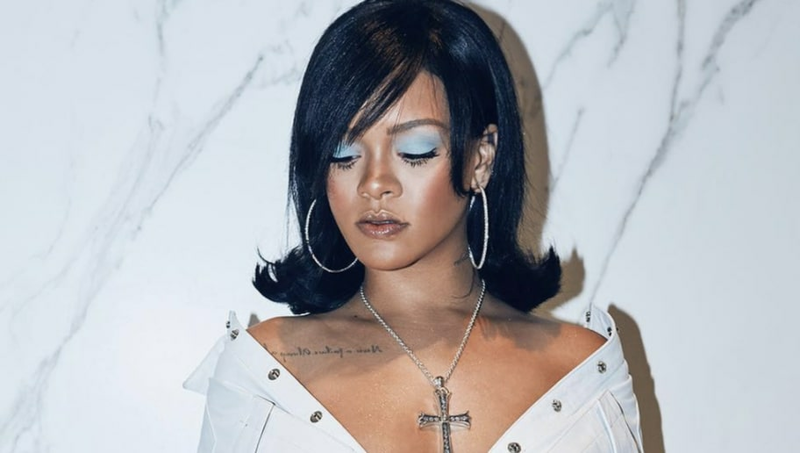 “All women deserve to feel beautiful and all women deserve to have a choice and an option when they go to the makeup counter," Rihanna told ​ET.